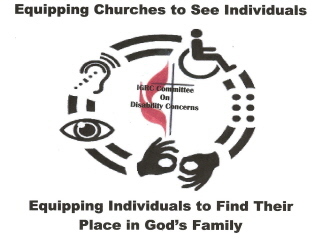 Advocacy for the leadership role of persons with disabilities (both clergy and lay) in the local church and the conference. Awareness of existing ministries within the conference for persons with disabilities. Fostering cooperation among ministries focused on various specific disabilities. Promoting full inclusion of persons with disabilities. Sharing knowledge and resources through disability associations.